As a writer, it’s pretty safe to say that you’re going to love stationery. Whether you write for work or for play, there’s just this thing we tend to have with all kinds of stationery. And it’s a good thing because when you’re a writer, you do tend to need stationery for lots of different things. From making notes and writing lists to planning what you’re going to write and even planning your week, there’s so much that we need stationery for. So when you are a bit of a stationery obsessive, it can feel great to head out and buy a few bits and pieces! However, you may not know which kinds of stationery can come in handy. After all, when you get used to using the same pen and paper combo, you can feel like you don’t really need much else. But that’s where this post comes in because it's time to talk you through ten types of stationery that you might need to get through your day. If you have a home office, you’re definitely going to find these pieces coming in handy. If you don’t, this could become your incentive to get one together! The one piece of stationery most people have in their collection - because every writer needs a notebook! Although some writers prefer to do pretty much everything online, many still prefer traditional methods. There’s just a thing about being a writer and actually wanting to physically write - not always type. Whether it’s making notes or jotting down ideas, you’re going to need a notepad to keep them all in. Sometimes even a few - one for each exciting new story idea. From here, you’re then going to need the right pens to go with your notepad. But, just as with the notebooks, it’s highly unlikely that you’re going to be okay with just one pen. As writers, we tend to have our favourite pens - and we stick to them. You probably already have yours, but if you don’t, then you’re going to want to discover what works for you. You may also want to invest in some coloured pen sets as these can be great for annotations and getting creative with your notes. Up next, there’s also the idea of getting yourself a journal for a range of reasons. Firstly, you may want to get your thoughts down like a diary - journals are the perfect place for this. But you may also want to get creative with your thoughts, plans, and ideas; this is where the idea of a bullet journal comes in. Of course, you’re going to want to consider getting yourself some specific to-do lists. Even if you tend to write these on scraps of paper or in a notebook, you should definitely start to get a little more organised. When you have a set to-do list, things are easier. You’ll find space for all of the different things you need to write down, and many dedicated lists come with checkboxes too. That way, you can stay super organised and keep on top of everything you have to do. Similarly, you’re going to want to stock up on post-it notes too. And yes, stock up! Because there are so many different kinds and lots of different reasons for why you could want to use them. Maybe you can see yourself writing notes about what you have to do last minute, or you want to get creative with your planning ideas and strategies. You can also get smaller ones to annotate your notes with, too! Next up, you’re going to need to think about getting a calendar. You must have deadlines and ideas, events and plans to keep somewhere visual - and that’s where a customer calendar can come in. Why not get one for your wall so you can easily see where you are at a glance? We always need comment cards in our lives as writers. These can be great for storage, writing up story ideas or just planning out material that you need for tasks or articles. You can also get them in cute designs so you will be able to have a lot of fun while writing up your notes! In addition, you should definitely consider looking into invitation cards. There are so many lovely designs out there, from silver wedding invitations to birthday party invites. If you fancy getting super organised, why not stock up and keep some designs in advance? That way, when the occasion arises, you don’t have to stress because the perfect invites will already be ready and waiting for you. You may also want to think about putting a mood board together. This can be great for when you want to feel inspired, and you can change up your images when you’re in need of a creative refresh. Whether you go for a metal rack or something magnetic, you should be able to enjoy creating a lovely collection of images and slogans that will inspire you while you write. Finally, you’re going to want to think about getting yourself some clips and pins together, because when you have all that stationery, you’re going to need to keep it all in check! From paperclips and crocodile clips to pins and pegs, there’s a lot you can choose from - you may even find that you need more for your mood board too. As you start to stock up on different bits and pieces, you will gradually find your stationery collection growing. But as a writer, your collection is likely never to be complete! Are you a writer? What's your favourite type of stationery? Let me know in the comments below! The last day of November and the last day before the festive season really kicks into gear - what better time for a brand new edition of Poetry Block? Today, fresh poetry talent Sheldon Sinnamon is stopping by The Writing Greyhound for a chat about his latest anthology Hush Your Gums and to share an exclusive poem titled, unsurprisingly, 'Hush Your Gums'. bewitched towards us for gossip. to be valued as dramatic. I pirouette in the street. 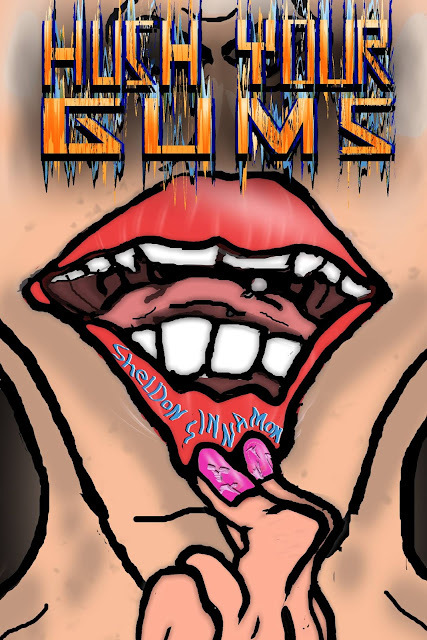 Tackling a large variety of personal topics and experiences mixing between storytelling and poetry, Hush Your Gums is a perfect continuation to witness Sinnamon's development, maturity, variety and sarcasm. It is also a great introduction book to his work as it is an easier read compared to his previous anthologies Oceans of Ink and Trapped in Words that are both rather dark. Hush Your Gums is available to buy now. 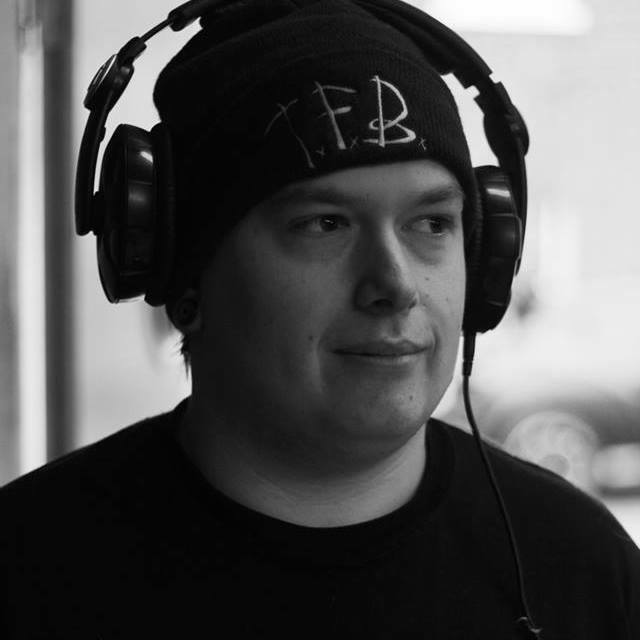 Sheldon Simmamon is just someone writing to release suffocating, frustrating, or repressed feelings; wanting to show people they are not alone. To find out more about Sheldon and his poetry, you can check out his website. 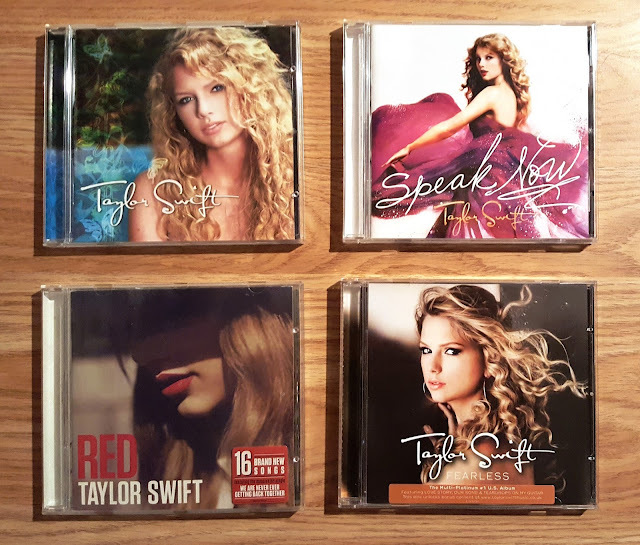 From her humble beginnings as a curly-haired young singer-songwriter, singing catchy country-pop songs about love and heartbreak with her trusty guitar in hand, it's undeniable that Taylor Swift has come a long way both in terms of her music career and her life in general. After capturing the hearts of fans around the world with her frankness, honesty and storytelling, Swifty has only gone from strength to strength since, with an impressive career catapulting her ever higher under the lights of fame, fortune and stardom. And a star she is - the world has watched that naive young girl grow older, find love, experience heartbreak and put it all in her songs. We watched as her sound began to change, the country roots gradually dimming as pop became ever more prevalent. We watched as she spoke up for herself and did things her way, reaching increasingly wider audiences as her music continued to grow and develop, a living sound changing and reacting in accordance to its creator's life experiences. Today, we watch her in the limelight, having just released her latest album to fans around the world who are constantly hungry for more. From all this and more, it's undeniable that Taylor Swift has become much more than just a humble singer-songwriter - she is a global megastar. From a personal point of view, I've always admired Miss Swift. I grew up with her music and fell in love with her songs - as a teenager myself, her early tunes were the perfect soundtrack to all the high school drama that is an integral part of growing up. As I grew older, I continued to listen to her music, both new and old. On my 22nd birthday, '22' was on repeat. But as time went on, the woman I'd idolised began to change. Not only was it a new hairstyle and a change in musical direction - that I could have coped with. Instead, Taylor as an individual seemed to be altering with every new story I read or picture I saw. With every latest heartbreak and doomed relationship, that spark within her seemed to dim a little, losing more and more of what made her unique; what made her stand out from the crowd. I love Taylor and I feel sorry for her, nor do I pretend to know what happens in her personal life, but I do wonder whether the dramatic change in direction and sudden could care less attitude are a cry for help. Is Swifty losing her way? We all know that the path to stardom is one paved with pitfalls, but has it trapped another victim? It remains to be seen but I, for one, still prefer the old Taylor Swift... let's just hope she's not dead yet. What do you think? Are you a fan of Taylor Swift? Let me know in the comments below! 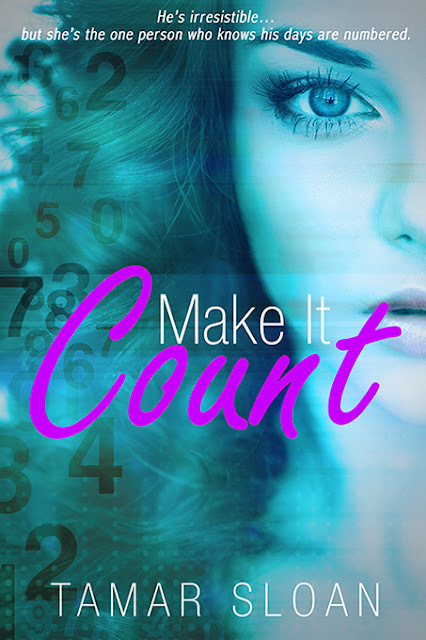 I'm absolutely thrilled to be chatting with Young Adult romance author Tamar Sloan today as she releases her novel Make It Count. Enjoy the interview! Well, I’m a school psychologist by day, and writer in every other moment I can cram in. After spending a career working with adolescents I think writing young adult books was an inevitability. What’s awesome is that it soon became a passion. As a long time reader of romance and a strong believer in the healing power of connection, romance was always going be the central focus of my writing. I live in Australia with my husband and two beautiful boys who are in high school. Interestingly, I never considered I'd be a writer. As a child, I loved to read (I devoured romance novels from the moment I discovered them), but it NEVER occurred to me that I could write one myself. My first book came to me in a dream (so cliché, right?). 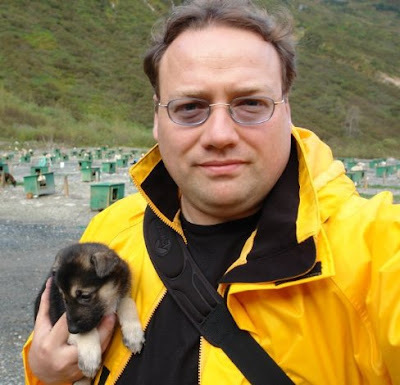 But it was an idea that wouldn't go away so I thought, which meant I had to go learn how to write… A few months later, with a little less hair, my first books, the Prime Prophecy series, was born. Tell me about Make it Count. Make it Count is one of those books that comes to you at 4am and you just know it’s going to be a special story. It started with the seed – what if with one touch, a girl could see how many days a person has to live? Apart from all the heart-wrenching considerations like touching your loved ones, I knew she’d avoid touch at whatever cost. But then PJ arrived, and he was hot and irresistible. I had to capture their chemistry and their story. Aw man, I have to choose one? There’s so many, but there’s one reward that trumps the feeling of flow, the joy of creativity, or the flash of a fabulous plot twist every time, and that’s the reader. Hearing that someone got lost in the worlds I’ve created just as much as I do is a feeling that has no words. It’s the happy dance that you can’t contain, the smile that isn’t optional. I love that inspiration is everywhere. I get a lot of inspiration from the young people I work with – their individuality, their strengths, their struggles. Then my-mind-that-never-stops takes these observations and starts asking one question. What if? I started my career as a youth worker, then became a high school teacher, before becoming a school psychologist. Adolescence is a fascinating, intense stage of life with so many firsts, and first love is one of them. I love to explore the passion, identity formation and pivotal turning points that occur during that stage of our life. My relationship with romance has been life-long. I discovered it in adolescence and haven’t stopped since. It might be the guaranteed happily ever after, or the deep emotional moments, but I’ve always said if you’re going to lose yourself in a book, why wouldn’t you choose one about falling in love? I’m well and truly a plotter, which means I plot out the story down to the chapter. My writing sticks by the motto ‘if you build it, they will come.’ I have to have the structure, the general idea of where the story is going and what my characters are going to do before the words start flowing. I think it would have to be self-doubt. I was blessed with a strong inner-critic (said as euphemistically as possible…), which means I set high standards of the books I want to produce for readers but also means I can be quite hard on myself. I don’t think I’m alone with this as a writer, and I’ve learned to proactively ignore that voice when it gets its shouty pants on. I simply take it as one of the inevitable challenges that come with doing something you love – and you’re putting on display for all to see. Hearing from my readers, hands down. Knowing I’ve touched someone is a positive way is the reason I write. Hearing that’s actually happened is the best feeling. The writers that persevered. If you’ve followed your dream with passion and perseverance, then that inspires me every time. Every. Time. Be prepared for a fabulous roller coaster ride. There will be lows, there will be twists you thought you knew were coming but you really didn’t, and there will be exhilarating highs. How do you prepare for something like that? In some ways you can’t, in other ways, you pack your fortitude and resilience, and open yourself up to the joy of the ride. Gosh, that’s a hard one! The Twilight series would definitely be up there, and it certainly inspired my Prime Prophecy Series. The images of werewolves that live in my head wouldn’t be there without Stephenie Meyer’s chart-busting books. I write non-fiction with my PsychWriter platform, which is a blog all about the complementary areas of writing and psychology. PsychWriter also provides editing and consultancy which keeps me busy. When I’m not being a nerd or a writer, I’m out on my farm with my husband and boys. I’m in the garden, feeding the horse or just enjoying the Aussie sun. The Time Traveller's Wife (I’m not even going to try and spell that author’s surname…) – and what an epic read it is too! Make It Count is available to buy now. For more about Tamar and her books, you can check out her website or follow her on Facebook and Twitter! Although winter is more commonly associated with freezing weather, cold temperatures, the festive season and the New Year, it's still a great time to get out and about and explore the UK. Our country is full to the brim with places to see and things to do whatever the weather and whatever the season - why should summer be the only time to take a break? The days may be shorter and the weather less welcoming, but holidaying in winter makes the perfect opportunity to experience the country's delights from a whole new perspective. Plus, going out of the holiday season means fewer tourists and no irritating crowds! Of course, if you are thinking about booking yourself a much-needed getaway or relaxing on a short break before all the hectic hustle and bustle that Christmas brings, there is plenty to think about and get organised. 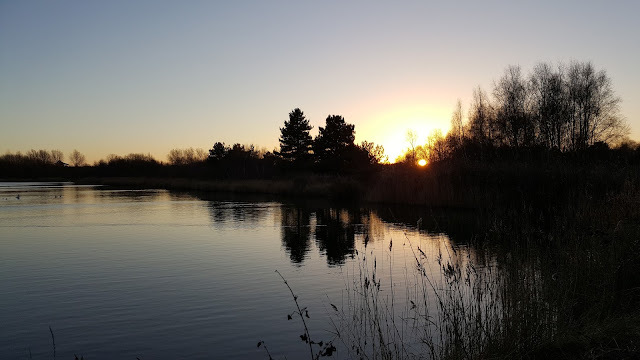 As we're almost in December already, time is ticking, so here are my top tips for making sure that your UK staycation is a big success this winter! Planning is everything, and when it comes to holidays, you can never be too prepared! Create a list of everything you will need to take with you to ensure nothing gets overlooked, and it can also be a good idea to check the weather and do a little research into attractions and places to eat around the area where you will be staying. Similarly, make sure to check out the area you have settled upon to get a good deal for your chosen accommodation - when the weather is chilly, the last thing you want is a draughty, uncomfortable place to rest your head! If you're planning to travel to a city by public transport, it's well worth checking in advance as many services run reduced or altered timetables during the winter. Similarly, if you're planning a Christmas or New Year getaway by train, make sure to triple check just in case of any unexpected delays or dreaded engineering works! Of course, if you would prefer to travel by car, it's important to certify that your car is up to the challenge of a road trip in winter weather. If you have any concerns about its safety or reliability, why not give your vehicle a rest and hire a car for your journey instead? If you hire a car in Liverpool, you're bound to be able to make it all the way down to Cornwall without a hitch! Warm clothes, waterproofs and sturdy, sensible footwear are an absolute must for every member of your party. Make sure to pack everything you need plus plenty of spares to ensure that you have got every possible eventuality covered. Depending on the weather forecast and where you're planning to visit, it might also be a good idea to bring a scarf, woolly hat and gloves to stave off the seasonal chill! It might not be something that immediately crosses your mind, but many attractions and sights in the UK will have different opening times during winter and the off-season. From later starts and earlier finishes to weekend-only hours, make sure to do your research and check ahead to avoid disappointment. Similarly, I'd recommend making a list of wet-weather attractions just in case the great British weather decides to live up to its reputation! Travelling with the family is a wonderful experience, but as December 25th approaches and the kids get increasingly hyper, keeping them in check can become even more difficult than usual! If you are bringing the kids or extended family away with you, make sure that your travel plans and itinerary are both engaging and family-friendly. After all, the more that you can wear the little ones out, the more peaceful your holiday will be! It's also a good idea to pack plenty of toys and games to keep them occupied in the car and in case of any rainy day emergencies. Are you feeling inspired yet? There are plenty of brilliant places to visit around the country just waiting to be discovered, so pack your bags, lace up your boots and get out on the road this winter! Are you thinking of taking a trip during the winter this year? Share your thoughts and any travel tips in the comments below! 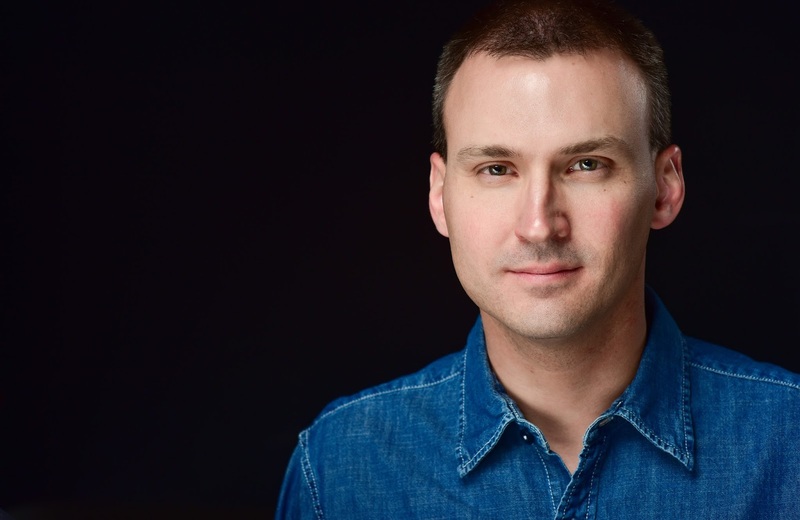 This morning I'm welcoming children's author Iain Reading to The Writing Greyhound for a chat about his writing and his latest book Kitty Hawk and the Curse of the Yukon Gold. Firstly, could you introduce yourself? Hello! For a long time I wanted to be a musician (still do, actually) but I suppose it just wasn't in the cards for me. Now I've channelled my creativity into writing instead. Oh, and I work at the UN as my day job. 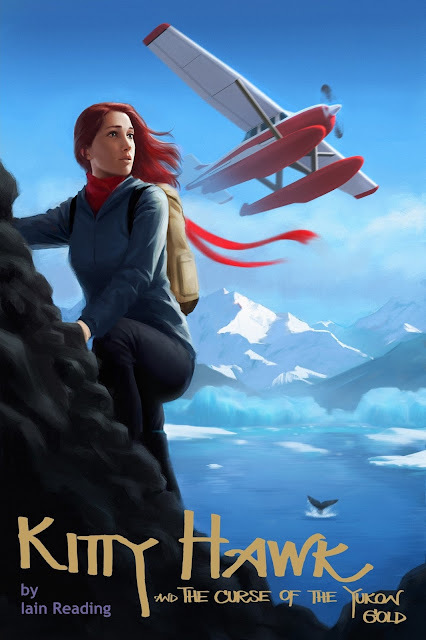 I first became interested in writing something when I was lying in bed one day and thought to myself "wouldn't it be cool if there was a book about a female teenage pilot named Kitty Hawk". Yes, that would be cool, I told myself. But someone already thought of it, I am sure. So I went to sleep. I woke up the next day and it was still in my mind, so I Googled it. Turns out that no one thought of it before. So I knew I had to write it. Tell me about Kitty Hawk and the Curse of the Yukon Gold. Kitty Hawk is a pilot and she has a lot of freedom because of that. She can fly wherever she wants to. So she has decided to see the world. Her first adventures take her to Alaska and the Yukon to study humpback whales for the summer. And that is when the adventures begin. She figures something out... a mystery, if you will, and because she is also quite nosy, she finds herself pulled into a grand journey across the northern parts of our continent. The best thing about writing fiction is the ability to create new worlds. And you can create whatever worlds you can think of. There are no limits. That feeling is amazing, even though my personal preference is to create worlds hidden within our own world (as opposed to completely fantastical alien worlds). Inspiration is all around. The trick is recognising it. As I said, my worlds are always hidden within our own worlds. Which means that there are clues to those hidden worlds all around us. What are they, then? That's the secret and the inspiration. What are your aims for the book? One major aim of all my books is the have the reader experience different places. We live on a huge and amazing planet and there are so many things that we can never see them all. My process is to figure things out first and write second. I never sit down to write unless I have the next few chapters of a book already figured out (plus, of course, the overall entire story figured out – that goes without saying). And then I sit down and just let the story write itself. Being able to transport myself to these worlds I've created. For a few hours each day when I am writing a book I find myself immersed in those worlds and I love that. Believe it or not.... Stephen King. Not because I like horror books. But because I think he is a masterful story-teller. Yes, sometimes the story being told is weird to the point of ridiculous (a car that eats people?) but the way he tells those stories is often amazing. My standard advice is always this: Write the book you are capable of writing. Don't try and write a book that you're not capable of. I have a strange ambition.... I would like to advance enough in my career that I could do a panel at a comic-con somewhere sometime. I do promote my books at cons many times a year and I love panels whenever I go see them. I am halfway through the sixth book of my Kitty Hawk series. I am halfway through the second book of my dragon of the month club series. I just finished the third draft of an unpublished urban magic historical fiction thing. And I just started writing a young adult romance novel. I am re-reading Stephen King's It. The new movie just came out and I figured it would be nice to read that one again since it's an amazing piece of work (except for the whole horror/supernatural thing, particularly at the end.... sorry Stephen....). Kitty Hawk and the Curse of the Yukon Gold is available to buy now. When my boyfriend and I were planning our week's holiday back in the summer, initially we had settled on a road trip around Scotland. Although indecisiveness, cost and time soon put paid to that plan, the seed had been sown and we knew we wanted to pay a visit to bonny Scotland at some point. Cue a few months later, back in September, when we booked the week off work and were trying to decide what to do with our time. Never much ones for wasting the precious free time we have, our week was soon jam-packed with a trip down to Dunstable for a friend's wedding, a visit to Alton Towers and a stag do for him while I caught up on some blogging. However, that still left us with three days spare - the perfect opportunity for a last-minute mini break in Scotland! 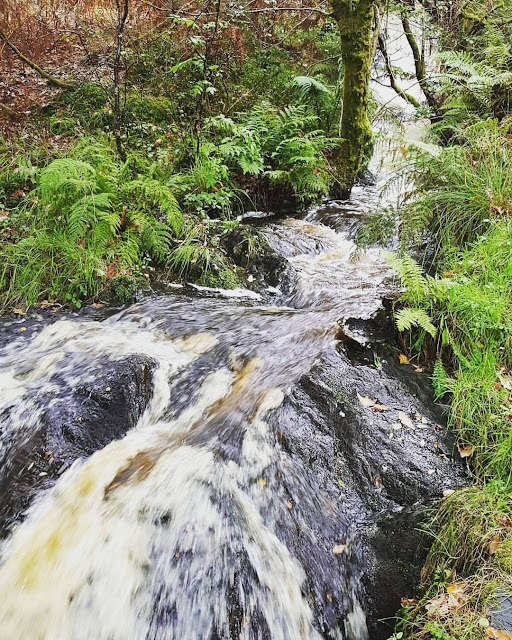 He had never visited Loch Lomond before so we decided not to stray too far from the border and make the most of the picturesque scenery the area has to offer. Booking a last-minute stay at two hotels, a different one each night, we quickly planned our route and a rough itinerary. Cut to the Wednesday when we were due to leave, and cue the heavens opening. Of course, it always rains in Scotland, everyone knows that, but this was ridiculous rain. On the few occasions I'd been up to Scotland before, it seemed to always be either raining or beautiful sunshine; that's the unique charm of the Scottish weather, I suppose! However, this was unrelenting, non-stop rain that continued solidly for the entire duration of our trip (I wish I was exaggerating here, but it really was that bad). After a long drive up, we stopped in at Glasgow for a visit to his family before continuing our drive through the rain up to our stop for the night. 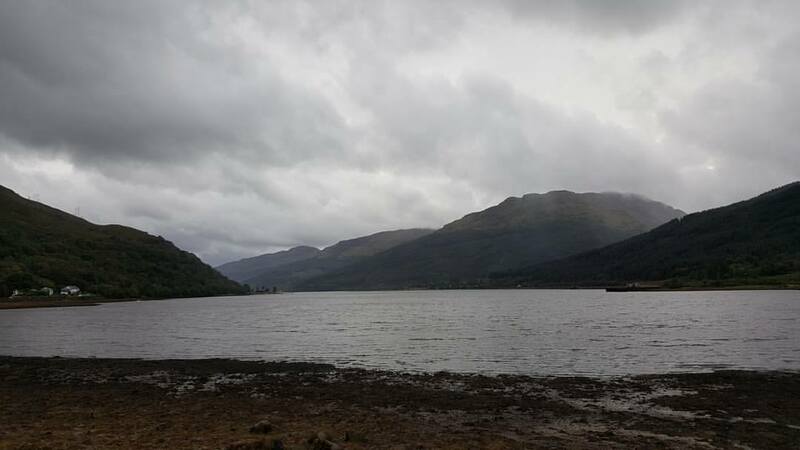 We were assured that the road offered stunning views of the loch and the local scenery, but between the downpour and the mist, it was more a case of leaving the views to our imaginations. For our first night, we stayed in Arrochar Hotel on the shores of Loch Long. The sprawling hotel stands out stark white against the grey-green backdrop of the loch and the mountains, providing an atmospheric view that feels as though you've stepped back in time. Even despite the rain, the area gave off an air of tranquillity and quietness; from the lack of noise and people, it's instantly clear that you're far from home. Once we had checked in (obligatory tartan carpets: check) we braved the weather for a short walk along the promenade and down the road. In spite of the rain's best efforts, the view was still stunning - a moody, atmospheric snapshot of a wild and untamed country. Having scoped out the village for dinner and discounted the hotel itself, we decided to take a drive in search of some food. A quick five-minute ride later brought us to the Slanj restaurant in Tarbet, where we enjoyed the house special chicken burrito with home-cut chunky chips. By this point we realised the rain had set in for the night, so we headed back to our room for an early night after our long journey. The morning dawned grey and gloomy, but we were still up nice and early to make the most of our day. We were one of the first sets of people in the spacious lounge ready for breakfast, where we enjoyed our food from a lovely table by the window, overlooking the loch. Getting into the spirit of things, I had some porridge while he tackled a Scottish breakfast - basically the same as a full English, but with the addition of haggis and a tattie scone. On our way out of the lounge, we ended up having a conversation with an older gentleman who seemed intent on telling us his life's story. We discussed the area, the view, the weather (of course) and our travels - he said he'd just been down to Campbeltown, we said we'd been planning to climb the mountain and bag our first Munro before the weather forced us to change our plans. Eventually bidding him farewell, we packed up the car and headed back towards Loch Lomond. We drove down to the shores and did a little exploring before deciding to shelter from the rain with a visit to Sea Life Loch Lomond. With displays of colourful fish, rays, seahorses and awe-inspiring marine creatures, it was certainly an enjoyable visit. Plus we even got to see a demonstration of the centre's resident otters being fed! After grabbing some lunch, we decided to drive back up to check out our home for the second night. The Anchor Inn in Garelochhead is a traditional Scottish pub with rooms at the back - perfect for a quiet hideaway. Despite the weather, we decided to go for a walk. Heading to the shore of the loch, we discovered a trail and tracked up the hillside to discover some beautiful views down across the water. Despite the less than ideal weather, our short break was the perfect antidote to the stresses of everyday life, relaxing and enjoyable. All we need now is to squeeze in a trip to Northern Ireland and we'll have visited every country in the UK! Have you ever visited Loch Lomond? Share your travel stories with me in the comments below! Is it Time to Put Climate Change at the Centre of Speculative Fiction? Fiction reflects our hopes, fears, and dreams as we live them. Speculative fiction imagines how we'll live these human experiences in the future. Climate change is real and it's affecting our daily lives. It's time speculative writers include the changing climate as an integral part of their storytelling. Even if you're sceptical of the science, climate change is on everyone's lips. At the very least, the subject is a variation on one of literature's oldest questions: How will the world end? How climate change plays out may become the modern world's version of the Bible's book of Revelations. That makes global warming a compelling theme for any kind of storytelling. As a writer of speculative fiction, I'm interested in how humans will adapt to a new world where average temperatures are as many as six degrees above the historical average, according to current scientific predictions. Even predictions on the low end will likely result in massive disruptions of life on planet Earth, including human life. How will we live a decade from now, or a century, or a millennium? Will our species survive? In Tales From A Warming Planet, a series I've written with climate change as the main theme, human beings live, grow, and fight, as they always have, but in a different environment. In August, I released the first story in the series, a novelette titled The Mother Earth Insurgency. On October 21, 2017, I'll release the second book in the series and the first novel, titled Carbon Run. Carbon Run is an exciting thriller set in a dystopian world. Fossil fuels are banned, pirates smuggle oil, and governments erase citizens' identities. Anne Penn, one of the novel's protagonists, dreams of saving an endangered species of birds. When a fire destroys the birds' last home, her beloved father Bill is accused of starting the blaze. Fanatic officer Janine Kilel comes to arrest Anne's father, but Bill escapes, because in the 22nd century, destroying a species means execution. How will Anne find her father in a Russian city where the difference between good and evil is as murky as the choking smog? All my stories in the Tales series fit into the dystopia, post-apocalyptic, and thriller genres, with a heavy dose of near-future science fiction. I've focused on strong characters, particularly female characters. More strong female lead characters appear in upcoming Tales novels, including City of Ice and Dreams, and Restoration. A few commentators place these kinds of stories in a new genre, “climate fiction.” The genre's history goes back decades, and today's practitioners include Kim Stanley Robinson, Margaret Atwood, and Barbara Kingsolver. The canon is expanding all the time. More and more writers are asking: How will we live in a climate-changed world? My work is a small, hopefully entertaining, answer to the question. I hope you'll go along for the journey. J.G. Follansbee is a writer who also runs a blog. You can follow him on Facebook and Twitter. 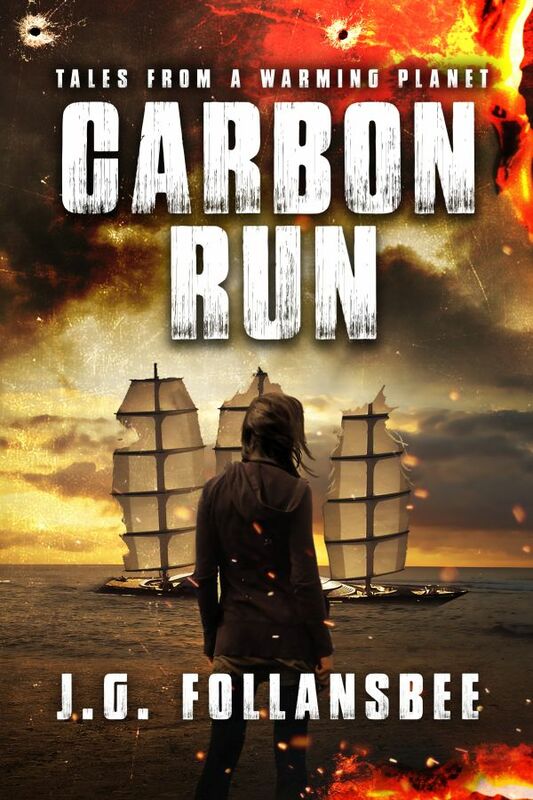 The first novel in the series, Carbon Run, is available to buy now. 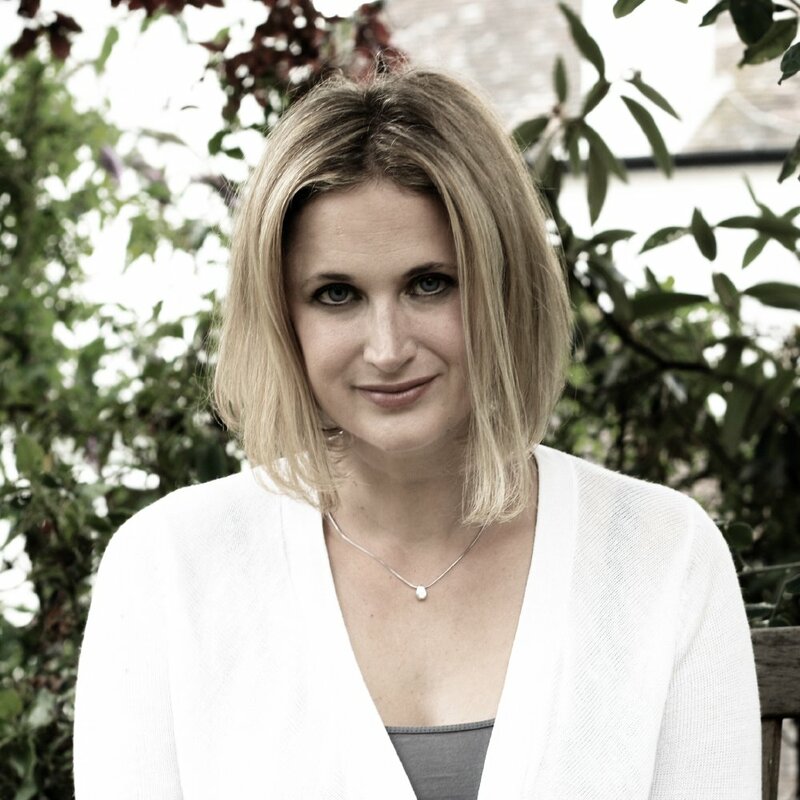 Today I'm welcoming historical author April Munday to The Writing Greyhound for a chat about her writing, inspiration, and her latest novel The Heir's Tale. I started telling stories almost as soon as I could talk and I’ve been writing them down since I could write. I’ve still got the first chapters of a few novels I started as a teenager and I get them out every now and again and cringe. Tell me about The Heir’s Tale. The Heir’s Tale is a historical romance. It’s the first book in a series of four (so far). The five Montfort brothers are at the Battle of Poitiers in 1356 and one of them is killed. The battle changes things for all of the survivors, and Ancelin, the protagonist of The Heir’s Tale, takes his dead brother’s place as heir to an earldom. Some months later he returns to England and he’s not sure that he wants to marry the woman his father has chosen for him and she’s not sure she wants to marry him. There are tears, fights and death on the way to the happy (for some) ending. Nothing is too outrageous. My characters can say and do things that I would never dare – and get away with it. I read a lot about the Middle Ages and most of my inspiration comes from that. Recently I read that the Isle of Wight was occupied by the French in 1377 and I thought that that might make a good setting. The idea will ferment in the back of my mind and will either connect with something else that I read or discover, or it will fade away. Did you have to do a lot of research during the writing process? There is a lot of research if you’re writing about the past. Fortunately, there are some basics of life in the fourteenth century which remain the same regardless of what the characters are doing or where they are, but there’s usually something specific that needs to be researched before I start to write. Sometimes, however, I write something I hadn’t thought about earlier and wonder whether it’s anachronistic or even physically impossible. In the novel I’m working on at the moment one of the characters was slashed across the palm of his hand and another one was going to sew it up. I don’t know whether that was practicable in the 1360s so I would have had to look it up if I hadn’t already decided that the character needed to be able to use that hand later in the novel. I have four shelves on my bookcase full of books about the Middle Ages, but sometimes I have to go further for the information I need. I also like to visit medieval buildings to get a feel for them and how people might have lived in them. A recent visit to a fourteenth-century house taught me that it might not be a good idea to share a secret inside the house. I could hear every word spoken in a room below when I was in a bedroom. I write longhand and then type it up. That way I can write without being distracted by the internet. Three or four weeks after I’ve finished the first draft, I print it, read it and make notes about what needs to be changed. This is the difficult part because the first draft is always dreadful. I make the changes and tidy it up until I’m happy for someone else to see it, at which point it goes to an editor. Steinbeck: he wrote so that a reader has to respond to his writing emotionally. Jane Austen: a woman who wrote on scraps of paper in her spare time, but who was incredibly innovative in her writing. Keep going until you’ve finished the first draft. Even if it’s terrible, just keep writing. Once you’ve got the first draft, you’ve got something you can work on. I know I’m supposed to say that it’s impossible to choose, but it isn’t. I never tire of reading Emma by Jane Austen. I love the way Austen manipulated me into believing that Emma and Frank Churchill were made for one another and then told me all the reasons why they weren’t. I’m a keen amateur musician and play in a quintet with four friends. The need to practice daily gives my day a bit more structure than it might otherwise have. I’m writing the fifth book in the Soldiers of Fortune series. It’s about Ancelin’s scrivener, inspired by meeting a reenactor at a medieval event. All the time that he was telling his audience about how to make ink, how to make a pen and how to write on parchment, I was looking at his bow and wondering how a scrivener would fare as part of an army. Lost in the Lake by AJ Waines. I went to an event where she was interviewed and have a signed copy. 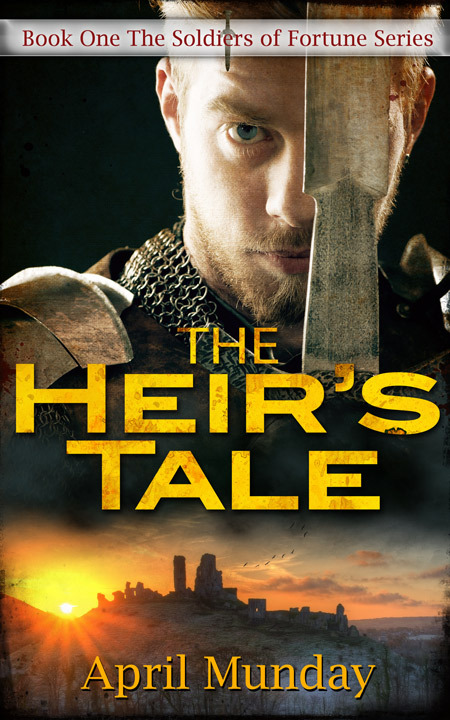 The Heir's Tale is available to buy now. 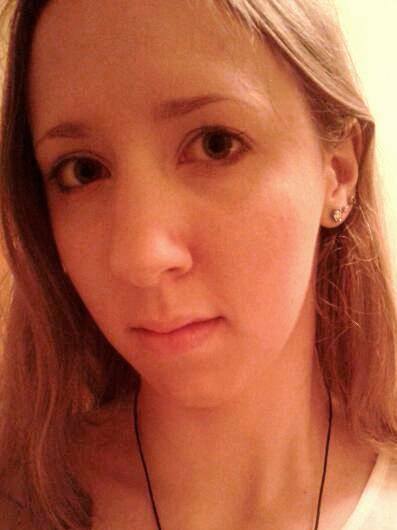 To find out more about April and her writing, check out her website or follow her on Facebook and Twitter. The man everyone loves to hate, James Blunt is still going strong, thirteen years after the release of 'You're Beautiful', the song that instantly catapulted him into the limelight. Now, all those years later, the crowd still love to belt out that hit, night after night, tour after tour. 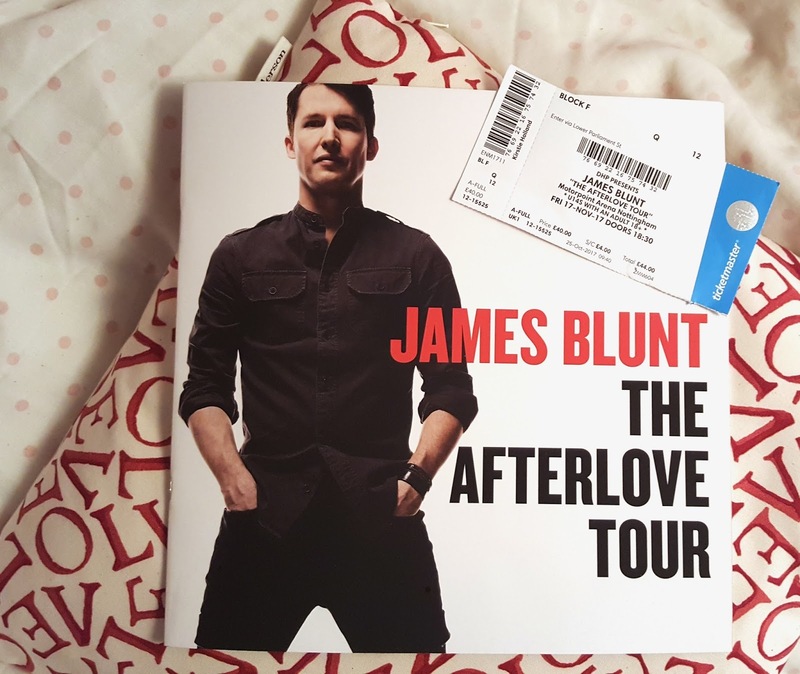 On Friday 17th November, I headed along to Nottingham's Motorpoint Arena to catch James' Afterlove tour. Fresh from a string of European dates and an enviable job touring as Ed Sheeran's support in the US, James Blunt seemed gig-ready, fresh, energised, and ready to play his heart out as he made a start on the UK leg of the tour. Bizarre seating arrangements at the venue and a sticky floor as a result of someone else's spilt coke didn't bode well for the start of the evening, but once the lights went down and the music started, everything else was instantly forgotten. Support came courtesy of the charming Jamie Lawson, another singer-songwriter on his way to stardom with the support of a certain redheaded singer. After signing to Sheeran's record label, Lawson's hit 'Wasn't Expecting That' propelled him into the public eye, and now, having just released his second album Happy Accidents, he's back on the road once again. Playing a decent set with a mix of both upbeat and slower songs, Lawson provided a great way to get the crowd warmed up ready for the main event. In the interval between the two acts, Lawson headed out to the foyer to meet fans, sign albums and take selfies. In a world of self-absorbed musicians, talents like Lawson who truly appreciate each and every step of the journey are a rare breed, and this was clear to see. Plus, he's lovely - what's not to love? We hurried back to our seats just in time for the lights to go down once again as James Blunt took to Nottingham's stage. The motley crowd, a mix of families, friends and couples of every age were on their feet; most of those in the floor seats abandoning their seats in favour of standing and dancing in the clear area in front of the stage. High energy and full of life right from the very start, Blunt's performance was certainly no disappointment. Having previously seen him live (way back when at the Hammersmith Apollo in 2014) I already knew he makes for a great live performer, but this second dose only served to further cement that fact. Playing a mixture of his previous hits and tracks from the new album, The Afterlove, there was plenty to keep everyone entertained. In addition, the variety of slower, emotional songs and bouncier tracks kept us all on our toes - there really was something for everyone. With a celebratory party atmosphere and a fully-loaded arsenal of jokes and stories to pepper the night, the show was a surefire success. For James Blunt, Nottingham seemed to be a surefire success - leaving the venue, everyone was laughing and joking with one another, discussing the evening and humming Blunt songs. "You're beautiful, you're beautiful it's true." Are you a fan of James Blunt? (Sssh, I won't tell!) Share your thoughts in the comments below! 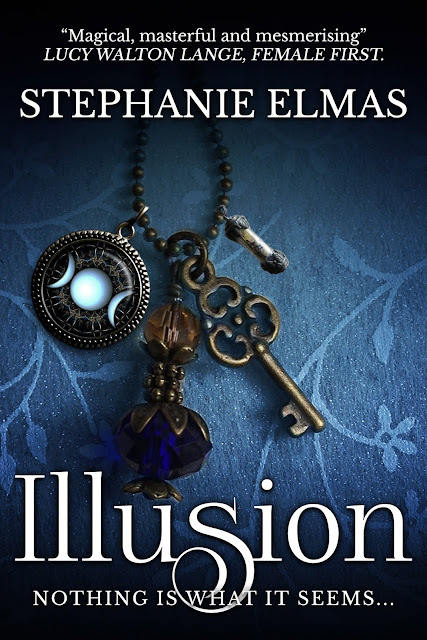 I'm over the moon to be participating in the blog tour for Illusion by Stephanie Elmas - to celebrate, I have a short Q&A with the author to share with you all! I am an English teacher and a mum of three children. Although in the early days of my career I worked as a head hunter in London for several years, my first love was always academia. I returned to university before my teaching career to complete a Masters in Victorian literature. I can’t remember a time when I didn’t write. It has always been a brilliantly indulgent and escapist way of spending time. Illusion was born out of a character I created in my first novel, The Room Beyond. When I wrote The Room Beyond, I fell in love with the Victorian East End mystic, Walter Balanchine, and knew that I had so much more to say about him. You can take your story anywhere and everywhere and it requires nothing but a pen, paper and an active imagination. I try to write about things that I know a bit about. I love writing in the nineteenth century because it is an area I specialised in at university. It is also a period of history that really fascinates me, so writing about it feels natural. With my second novel I was far more organised. My first novel sort of grew organically and, as a result, took years and years to write (and rewrite!). With Illusion, I had a plan! I created a precise breakdown of chapters from the very start and more or less stuck to it. This was a far quicker and more successful approach. The long haul. So many people say that they’d like to write a novel but actually sitting down to it and getting the job done is a major commitment. So many, but particularly Thomas Hardy and Mary Elizabeth Braddon. I just read The Essex Serpent by Sarah Perry and thought it was sensational. Don’t let your pride get in the way. Deal with criticism and rejection, learn from it all and then carry on. To keep writing novels that I’m proud of. 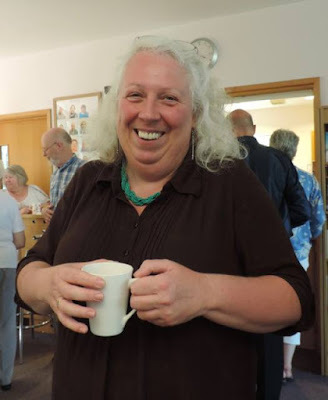 I was once told that if I wrote about people eating cakes and drinking tea in Cornwall, with the odd murder going on in the background, then I’d be so much more successful. The problem is that I just can’t bring myself to do that! Spending time with my family and travelling. In my twenties I backpacked quite a lot and, now that my children are growing up a bit, I’m rediscovering the world again with them! I have a few fresh ideas up my sleeve. Walter will be there in some form or another, I can’t leave him out! Brave New World by Aldous Huxley. I first read it as a teenager and I felt that it was time for a revisit. Illusion is available to buy now. To find out more about Stephanie and her writing, you can pay a visit to her website. Don't forget to check out the rest of the blog tour! It's just a short hop away - tomorrow's tour stop can be found here. A few days ago I wrote a post sharing some of my favourite ways in which you can make sure that your Christmas cards are unique. Since that post went down so well, I thought I'd make another to provide you with some more festive inspiration - this time, I'm sharing some top tips for keeping your gifts as special and original as possible this Christmas! Of course, it isn't always possible to fully plan ahead and map out a perfect gift for every single person on your to-buy-for list each and every year. From budget constraints to finding the time, many people struggle at this time of year, hence why the trend of last-minute gift buying continues to be so prevalent. But this year, even if it's just for your closest friends and family members, why not commit to putting that little extra bit of thought into your choice of gifts? Who doesn't love to receive a gift with plenty of thought and care put into it? Whether it's a framed painting from a budding young artist or a warm, woolly scarf knitted by hand, there are plenty of ideas out there to help you get started. Plus, while it might take a little more time to get each gift sorted and ready, it's also the perfect way to cut costs and keep your spending in check this Christmas. Whether it's a branded gift or something you've just picked up off the high street, presents that you can buy anywhere might be nice, but they are likely to lack that extra special touch. Instead of feeding the giants this Christmas, commit to buying local, being different, and exploring independent stores (both online and offline) to find some real hidden gems. A piece of bespoke jewellery, a one-of-a-kind ornament or piece of artwork, or even a hand-carved Christmas decoration - these are all unique pieces that will speak volumes more than an off-the-shelf gift. One of my favourites is this beautiful pair of minimalistic earrings from boutique online store That Lovely Stuff. Handmade in Australia before arriving over here in the UK, they have swiftly become a firm fixture of my winter look and a definite favourite! How many times have you eagerly unwrapped a gift only to discover it's something practical or 'something for the home' instead of a present you actually wanted? At Christmas, it's okay to be a little selfish; if you have your eye on something, don't be afraid to drop hints and say so. The same goes for your present buying - instead of merely picking up something that will be useful around the house, think carefully about what you're buying. 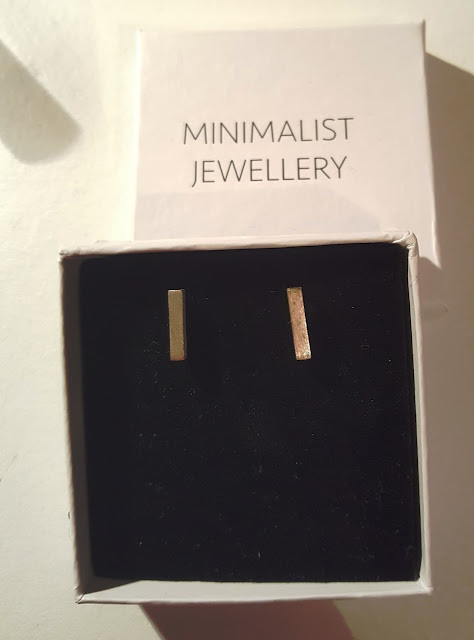 A new Hoover or a set of cutlery might well come in handy, but a beautiful piece of jewellery or a box set will likely be far better received come Christmas morning. Presents needn't play safe or just stick to what you know. Instead, see it as a challenge, a way to get to know someone better and make sure that you get them something you know they will love. A great example of this is the annual office Secret Santa. Rather than just picking up a cheap novelty gift that will be laughed at once then forgotten, put some thought into getting something that you are sure your colleague will actually use and appreciate. It's also a great way to strengthen relationships with your co-workers! It's the age-old dilemma - what do you get for the person who already has everything? Instead of struggling to find a great gift, why not go all out and buy them an experience or a day out rather than something materialistic? Whether it's some money towards a piercing or tattoo, music or theatre tickets or a day out at the zoo, an experience is the perfect way to make memories and provide your loved ones with a great time. With only a few weeks left until the big day, there's no time like the present to get prepared and get organised, ready for Christmas Day. Make sure that there are smiles all around on Christmas morning and get planning the perfect gifts for your loved ones this year. Have you started your Christmas shopping yet? How do you go the extra mile with your gifts? Let me know in the comments below! 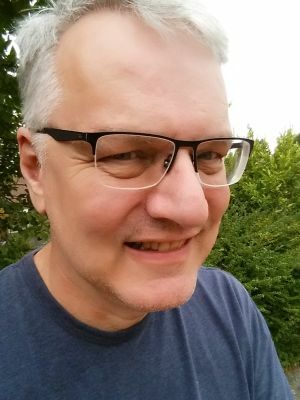 It's time for another author interview on The Writing Greyhound! 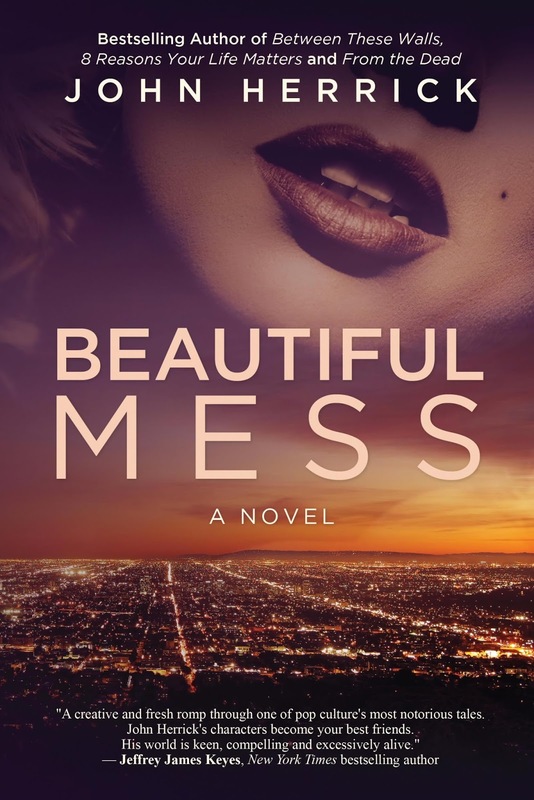 Today, I'm sitting down for a chat with the charming John Herrick as he releases his novel Beautiful Mess. I earned my degree in mass communication, with a desire to write for large audiences. I started my career in the IT world - yes, a creative guy implementing software and developing computer code! But that’s where I developed discipline, troubleshooting skills, and project management experience. The key to writing my first novel was treating the book was a 9-month software implementation project, complete with a project plan, time estimates, and milestones. Hey, whatever works! The weird thing is, despite a love for writing, I never took a creative writing course. At eight years old, after completing a class assignment, I looked over at what a friend was doing to pass the time. She was writing a short story. It looked like fun, so I decided to give it a try...and fell in love with it. I’ve been a writer ever since. I've never forgotten that day. Tell me about Beautiful Mess. Del Corwyn hasn’t had a hit film since his Academy Award nomination 40 years ago. He’s desperate to return to the spotlight but teeters on bankruptcy. Del is a forgotten legend - until, while combing through personal memorabilia, he discovers an original screenplay written by his once-close friend, Marilyn Monroe, who named Del as its legal guardian. The news goes viral. Suddenly, Del skyrockets to the A-list and has a chance to revive his career - if he’s willing to sacrifice his friend’s memory and reputation along the way. Beautiful Mess is a humorous coming-of-age story about a 78-year-old man who lives in his own fictional world. The novel incorporates lesser-known facts about Marilyn Monroe and imagines the further impact she might have made on pop culture if her life hadn’t reached an abrupt end. The creative liberty. Rather than documenting what happened, fiction writers have the opportunity to document what could happen. That said, fiction readers expect the story to be plausible. So research is still important. Identifying the balance between fact and fiction is an art form. My stories tend to begin with “What if?” questions. Oftentimes, it starts with my reading a news article and asking, “What if Person X hadn’t followed their hunch, or crossed paths with Person Y in a different environment? How would that have altered their interaction and, thus, tend result?” Or if I hear that a key piece of evidence enabled authorities to solve a crime, I’ll wonder, “Instead of finding Evidence X, what if they found Evidence Y? How would that have changed the course of their investigation, but still led to the same result?” Same plot, same resolution—but how we get there is a completely different. One small detail, one choice, can change the course of our lives. Do you think it’s important for rom-coms to have a happy ending? Most people expect a happy ending, and anytime you evade the norm, your risk increases. But as with any other profession, once you understand the rules and why they work, once you recognise their strengths and understand what readers seek from the experience, you can attempt new ways to meet those needs. So if you can find a way to fulfil readers’ expectations without a happy ending, you might provide an unexpected, satisfying experience for them. The mistake people make is an unwillingness to research the industry standards and develop those basic skills first. What’s the single biggest influence on your own creative writing? For me, character development is a critical element. I want to draw readers into the story, but more importantly, I want to give them protagonists to which they can relate. I love to dig into the psychological aspects of my characters and try to let them drive their own stories. Most of my stories begin with a 50-100 page sketch, a miniature version of the novel. In fact, it’s so detailed, I lift some dialogue blocks from it and plant them into my first draft, verbatim! But I’ve found a road map is the only way I can complete a project. That’s where my years working in the IT world proved invaluable. Confronting the fear of failure and pressing past it. Regardless of how many books I’ve written, I need to re-establish my confidence with each new book. I’m afraid I’ll let people down. John Grisham. You see, when I was younger, I always had a book in my hand- when I wasn’t writing, that is! But once I entered high school and college, I stopped reading for pleasure. When they require you to read particular books, you’re more concerned about memorising facts for a test than savouring the beauty of what the author has created. The summer before I started college, I picked up John Grisham’s The Firm, which was only two years old at the time. What a page turner! I tore through it. The next summer, I read The Client. Same thing happened. So John Grisham is the reason I fell back in love with reading. Once college ended - along with all of its required textbooks - I became an avid reader again. Beyond Grisham, film writers-directors like Nancy Meyers and Cameron Crowe tend to inspire me the most. My project tones tend to resemble those of Meyers and Crowe. I never want to stop growing, so that means tackling new genres; developing deeper, unique characters; enhancing my prose style to provide readers with more and more satisfying reads. But most of all, I never want to take my readers for granted. If, during the course of my life, I’m known as one of the kindest people in the book world, then I’d consider that a success. Long drives on the highway, through rural areas, from one city to another. They refresh my mind and helps me feel as though anything is possible. And being the best uncle I can be—that’s at the top of my interests! These days, I’m researching and sketching another novel. I can’t mention what it’s about—I’m always so paranoid that something will go wrong after I’ve told everyone what a book is about! However, I do have another romantic comedy completed. It’s scheduled for release in 2018. I just finished reading three James Patterson novels: The Black Book, NYPD Red 3, and 14th Deadly Sin. I finished 14th before bed last night - which means I have a big decision to make in a few hours! 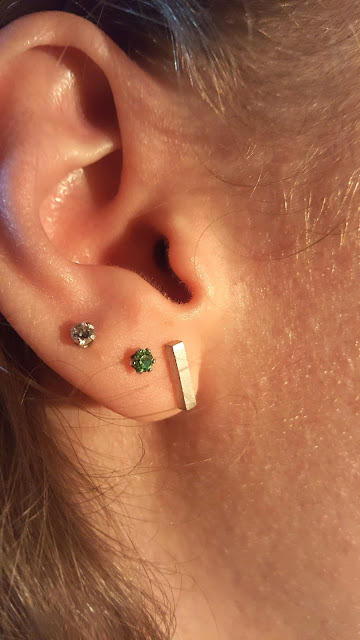 Any suggestions, readers? Beautiful Mess is available to buy now. To find out more about John Herrick and his work, you can check out his website or follow him on Facebook or Twitter. 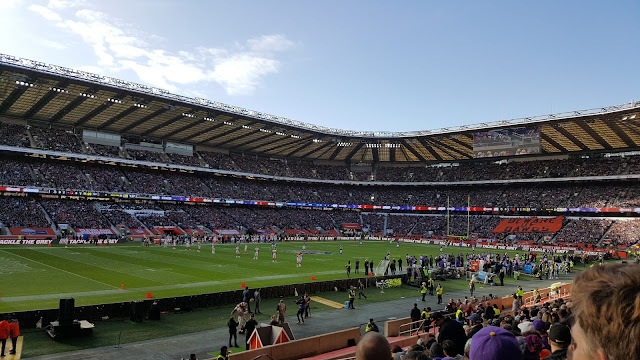 With the rising popularity of American football here in the UK, more and more people are heading down to London in the autumn to watch the NFL International Series games. Having just completed its tenth season running, it’s clear that UK football is far from a dying sport. However, with increased popularity and further fan interest comes a whole new host of hurdles for officials and organisers to overcome. Now, it’s not just about trying to grow the sport overseas, it’s about trying to convince teams to make the journey across the pond, giving up one of their precious home games for the privilege. Plus, with more and more people wanting to come down and watch a game, there is another thing for the officials to think about - where should the London games be played? In past years, Wembley Stadium has been the obvious choice. Its modern facilities, large capacity and recognisable name make it a firm favourite. It’s also fairly easy to get to from London itself, being just a short hop out on the tube. But as the number of games increased, recently, a new stadium had its name thrown into the mix. The home of British rugby, Twickenham Stadium might not be the most obvious choice to play host to the NFL. However, it’s impossible to argue that there are no parallels between football and rugby, possibly why those in charge decided to give it a shot. Compared to the fact that the NFL usually manages to ‘sell out’ Wembley’s 90,000 capacity, some may argue that choosing Twickenham’s smaller capacity of 82,000 is actually a step backwards. On the flipside, Twickenham offers a more intimate atmosphere, a chance to get up close and personal with the ins and outs of the game. Swings and roundabouts. Of course, I can only speak for myself, but I've always preferred Wembley. It's not just the stadium itself that stands out, though, it's the whole atmosphere that adds to the overall feel of the event. There's nothing like that feeling when you walk out of the tube station on gameday to a sea of jerseys, all the way down to the stadium itself. Every team is represented and people take the opportunity to dress up and make the most of the occasion - at the London games, even the familiar favourite 'Cheesehead' attire is considered pretty tame! Granted, Wembley wins extra points in my book because Twickenham is just such a pain to get to - ease and convenience of access always make a winner, but I'm sorry to say that Twickenham just seemed to fall flat on game day. 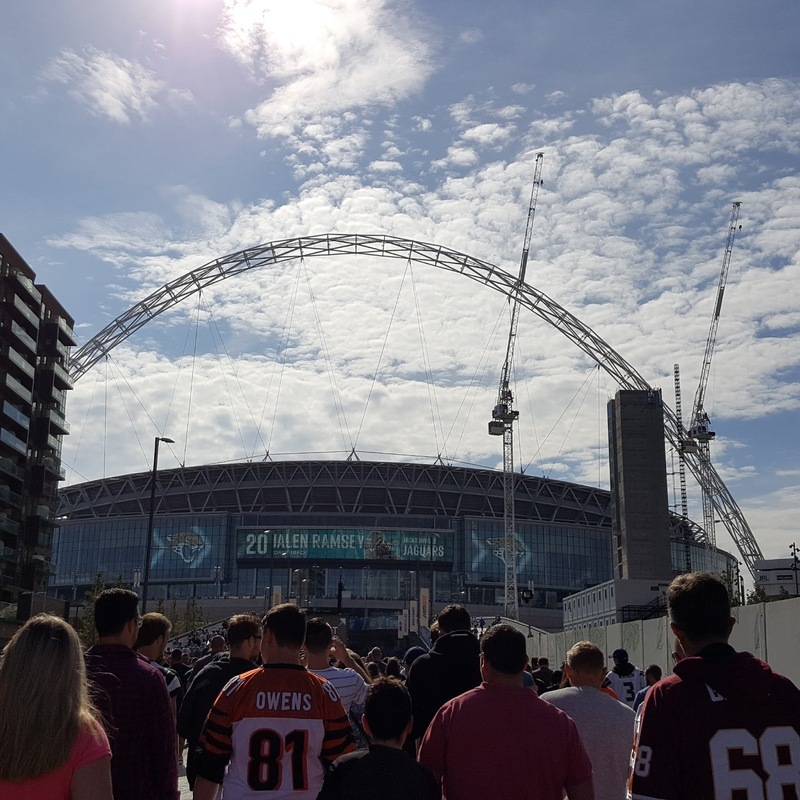 There was none of the fun and excitement, bright lights and palpable atmosphere that turns a Wembley game into a true football experience; instead, queueing to get in felt more like standing in a queue at a cashpoint. With all this in mind, it's important not to forget that it's all probably a bit of a pointless debate by now. After all, once the new Tottenham Hotspur stadium is complete, the NFL will be taking a trip across town and decamping to its shiny new headquarters thanks to the league's deal with the owners. Of course, it's impossible to pass judgement on the new incarnation of White Hart Lane until it's finished and ready for action, but from early reports, it looks to be shaping up well. I don't know about you, but I can't wait to see what the future holds for hosting American football here in the UK! Have you been to a game? Which venue is your favourite? Let me know in the comments below! Although we're barely midway through November, for most people, Christmas preparations are already well underway. From ordering in supplies to getting the decorations and presents all sorted, there is plenty to do. But in amongst all the hustle and bustle, it's easy to forget about one very special part of the season - the tradition of giving holiday cards to friends, family and loved ones. Let's be honest, when it comes to Christmas cards, most of us simply grab a cheap box of cards from the supermarket and scrawl out a few cursory seasonal greetings in reply to cards we have received. It's seen as an obligation or a chore, but in fact, it should be a part of the holiday to embrace. To help you stand out from the rest and go for the unique approach this year, here are some of my top tips for making sure that your Christmas cards dazzle! For the ultimate thoughtful touch, nothing says it better than a handmade card. Even if you aren't particularly crafty, there are plenty of quick and easy step-by-step tutorials online, and after all, sometimes even the simplest of designs can end up looking the most effective. Plus, what better way to get into the Christmas spirit than by spending an afternoon in front of the fire coming up with some beautiful new festive designs? 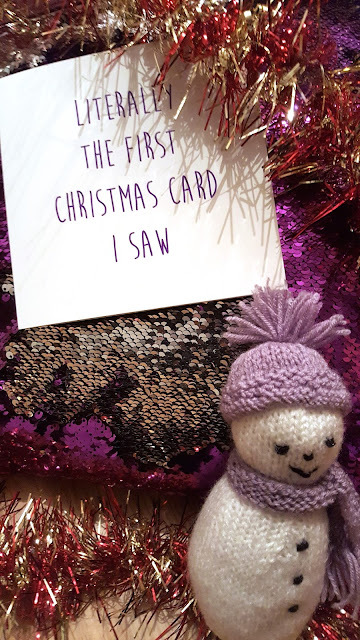 From adding your loved one's name to the card or writing a wonderful festive poem inside, taking that little bit of extra time to put some thought into the message behind your card is the perfect way to show someone you care this Christmas. If you can, take some time to add a personalised message to each card you write - even just a sentence tailored to the recipient can add a nice touch and show that you're thinking of them. Break with tradition and go for something a little different this Christmas. Whether it's a pop culture reference or a funny pun, opting for a quirky card will ensure it stands out amongst the plethora of snowy scenes and 'season's greetings'. 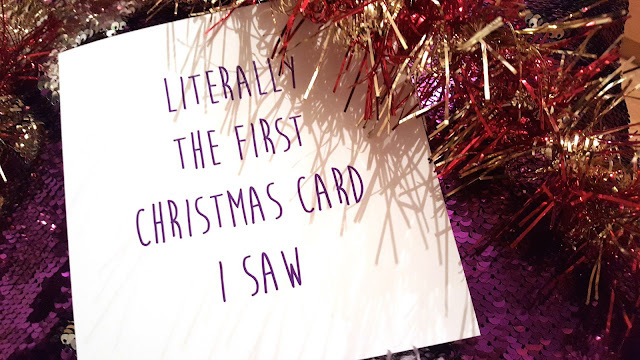 If you're feeling particularly brave, I recommend checking out the range of festive designs from You Said It - to put it mildly, the card pictured above is definitely one of their safest options! Of course, nothing beats a truly stunning piece of beautiful artwork. From traditional images to a more modern take on the classic Christmas scene, sometimes all you need is nothing more than a good-quality Christmas card to take their breath away. Reuse and recycle - perfect for your inner eco-warrior and doing your bit for the planet. Winter can be an incredibly wasteful season, so this year, make a few changes and commit to reducing your impact on the environment however you can. Instead of spending money and resources on another brand new pack of Christmas cards, why not dig out all your old ones and spend some time mixing and matching, turning them into some brand new, up-to-date designs? Your loved ones are sure to appreciate the extra effort, yet it's a lot easier than making a card from scratch. A win-win situation! Are you looking forward to Christmas yet? The festive season will be here before you know it, so take the opportunity to get started on your Christmas card list and guarantee a beautiful, thoughtful gift for your loved ones this year. How do you make sure your Christmas cards stand out? Share your top tips in the comments below!